Unlock Motorola MILESTONE 3 XT860 - Safe IMEI Unlocking Codes for You! 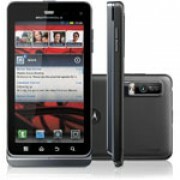 Unlock Motorola MILESTONE 3 XT860 Handset! In case your MILESTONE 3 XT860 doesn't ask for the code and there is no designated field to enter it, please DON'T PLACE ANY ORDER, contact us first for support. Unlock now your Motorola MILESTONE 3 XT860 handset! NO technical skills required! We can unlock the newest devices like: Motorola Atrix, Defy, Backflip, V3, Razr, V9, K1, Krzr and many more! Check out here The Complete List of Motorola Phones We Can Unlock! Note: Please make sure first that your Motorola MILESTONE 3 XT860 phone is not “Hard locked” in which happens when a wrong code was tried too many times previously. It will display 0 attempts to enter the unlock code if its hardlocked. If it is a brand new phone you don't have to worry about. Please contact us first, if you are not sure of the phone’s history because there is no refunds if there have been too many previous attempts to unlock your phone with a wrong code. How to Unlock Motorola MILESTONE 3 XT860 Phone - Tutorial! 3. As soon as possible you will receive on your email the code for device. This code is an 8 digit or a 16 digit code, depending by your handset model! Hi Eric! We should be able to help you. Please read carefully all the information and use the form if you decide to place an order. Thanks!